The classic tuxedo shirt. Pleated bib-front shirt with a wing tip. The ultimate James Bond look. 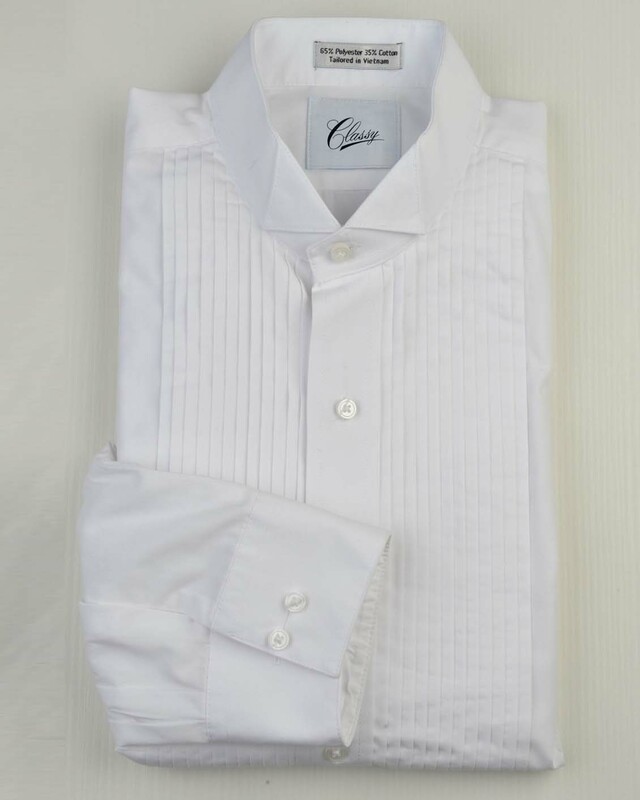 Our shirts do not have fold-down French cuffs, but may be used with cufflinks or the built-in buttons.